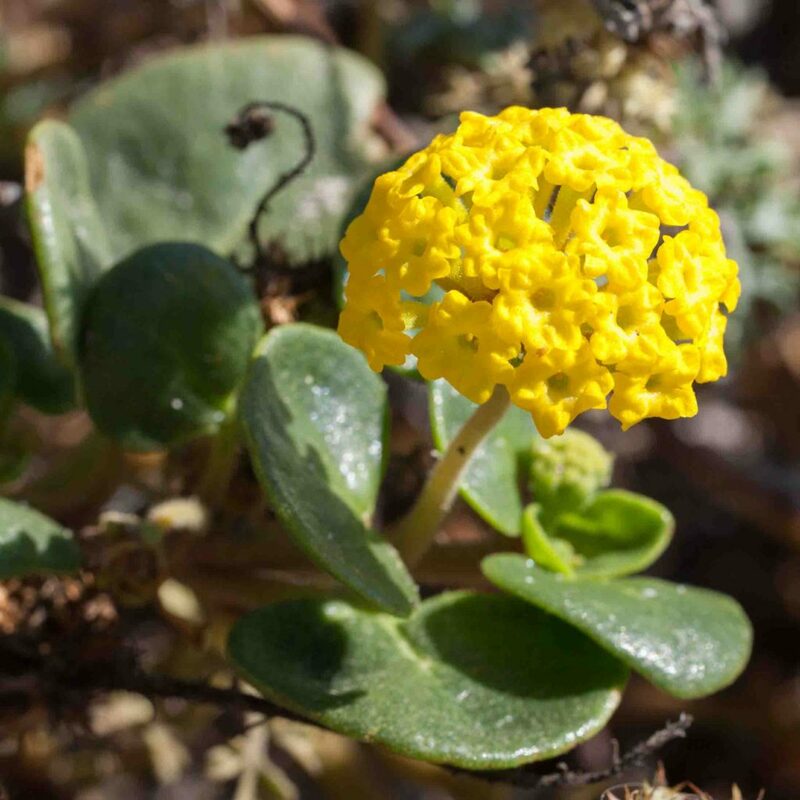 Very common and unmistakable with its spherical inflorescences with multiple, honey-scented, lemon-yellow flowers. 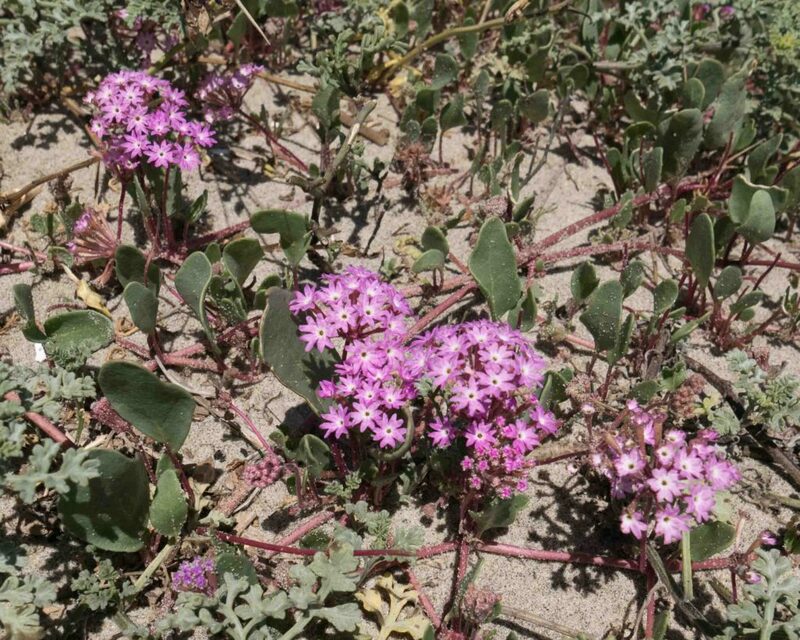 Stems are prostrate, growing both under and above the sand. 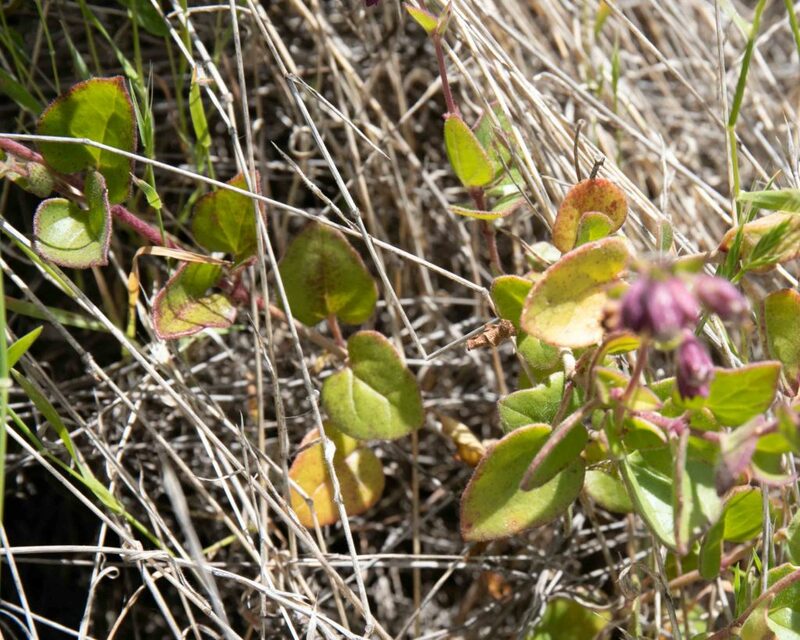 Leaves are ovate to kidney-shaped and fleshy. 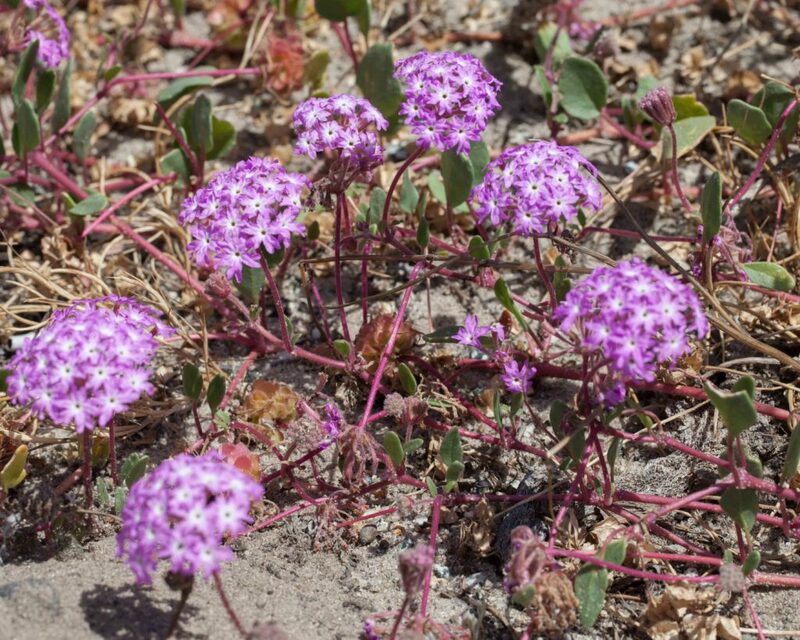 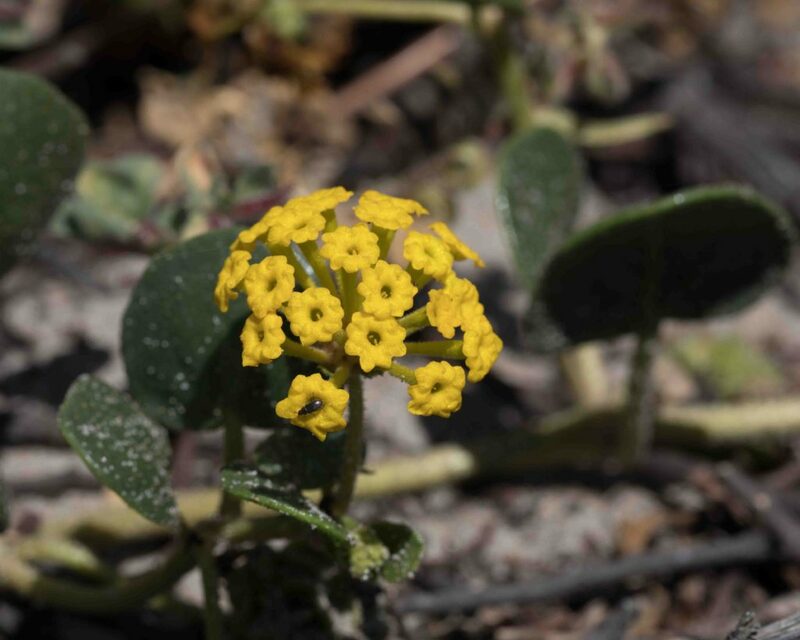 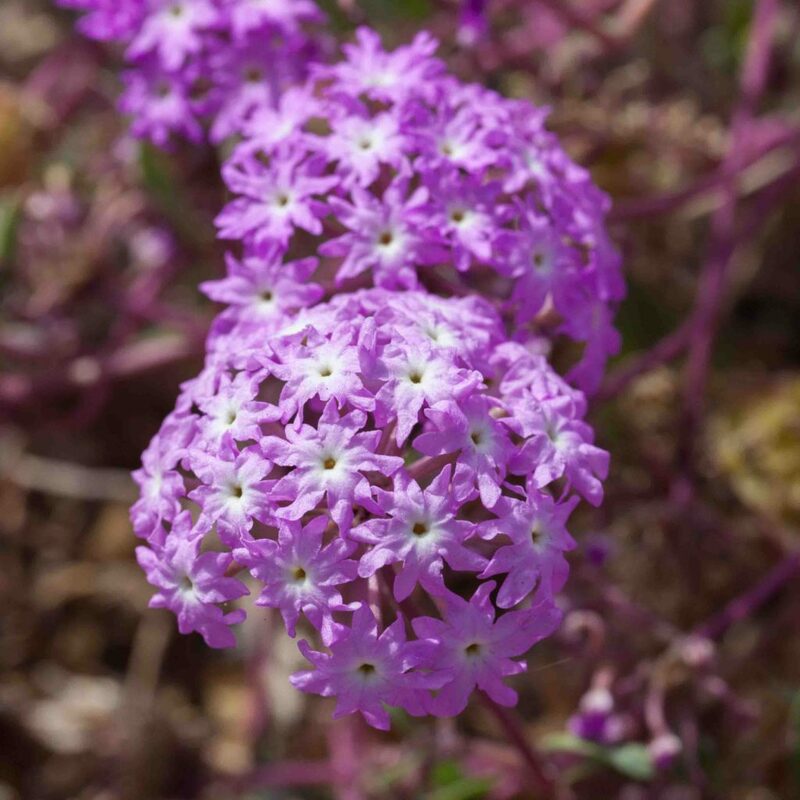 Like Yellow Sand Verbena, this is very common and unmistakable with its spherical inflorescences with multiple, white-centered pink flowers. 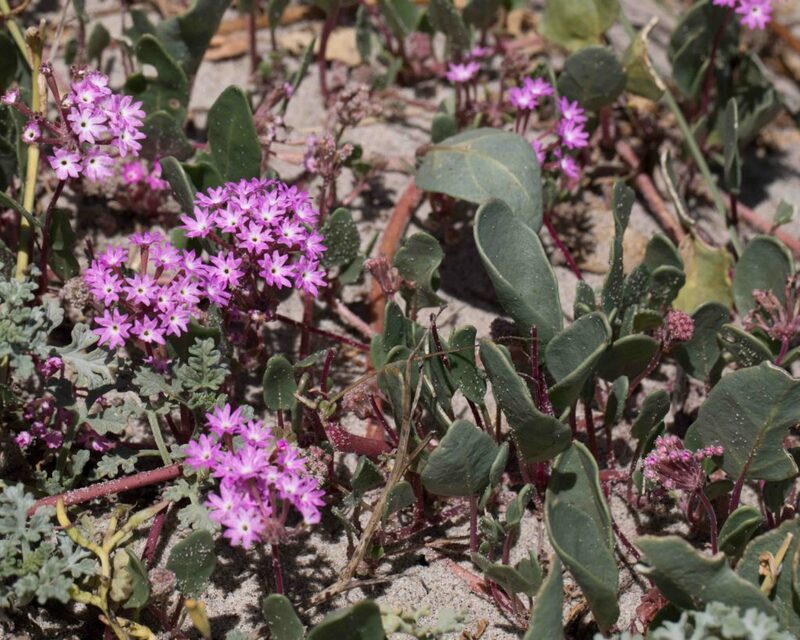 Leaves are ovate to diamond-shaped, erect and fleshy and borne on rows of prostrate red stems. 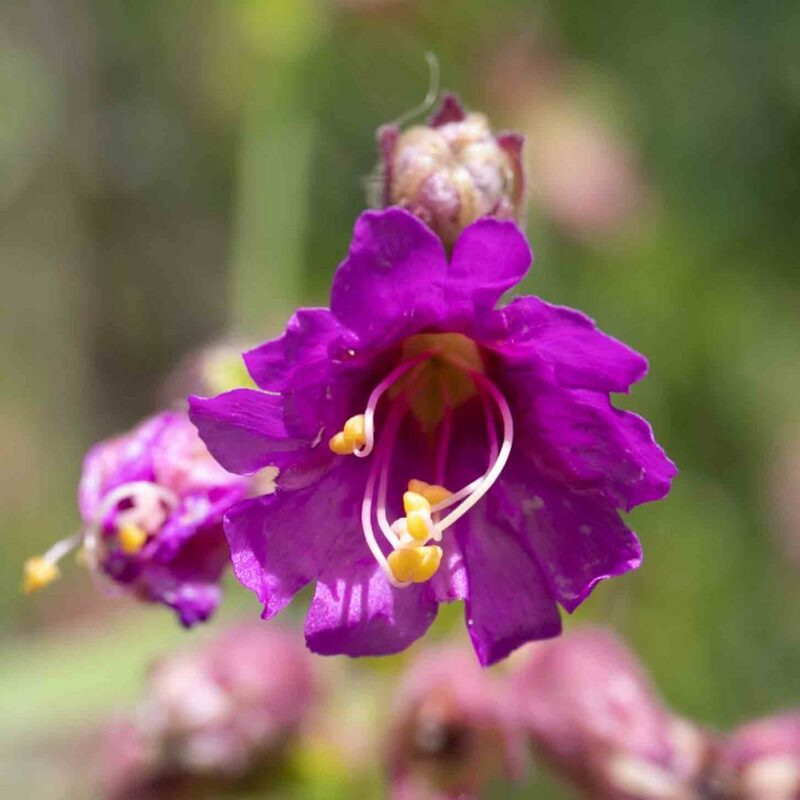 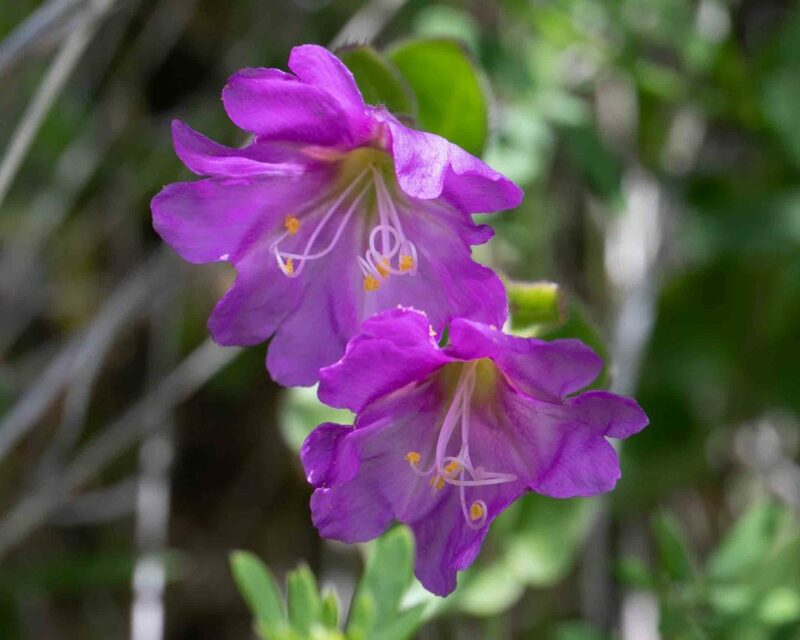 This is a trailing to ascending plant with bright pink to purple-red flowers which open in the evening and close during the following morning. 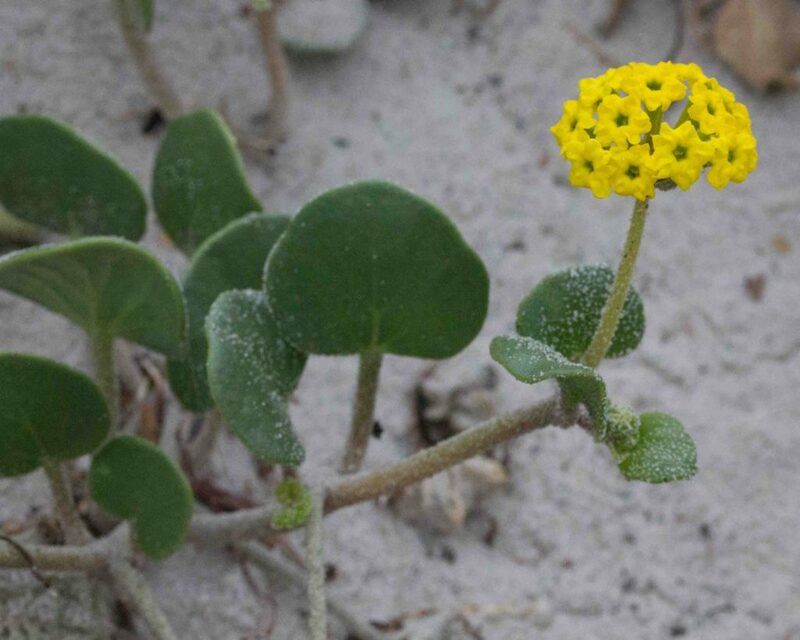 The flowers are 5–14 mm across, broadly funnel-shaped with 5 somewhat cleft lobes and prominently exserted, curved stamens. 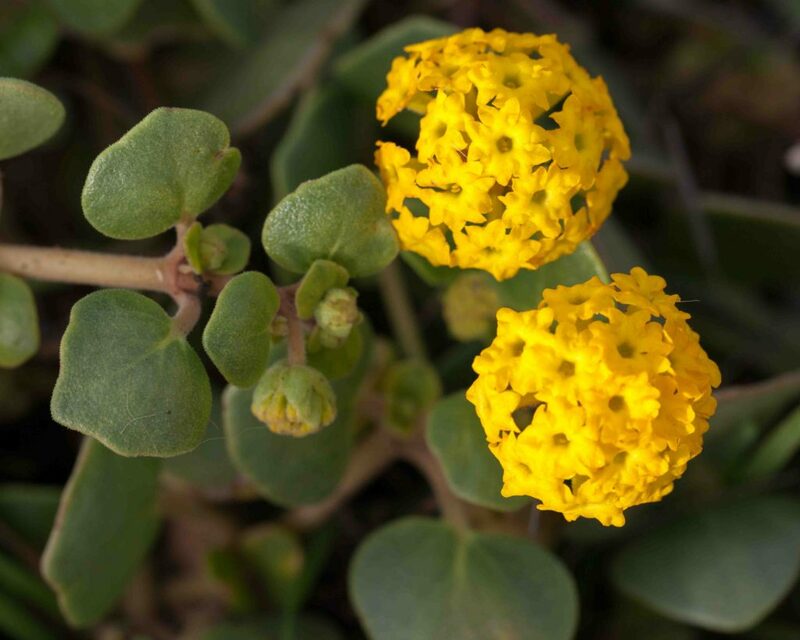 The leaves are fleshy, widely spreading and more or less ovate in shape. 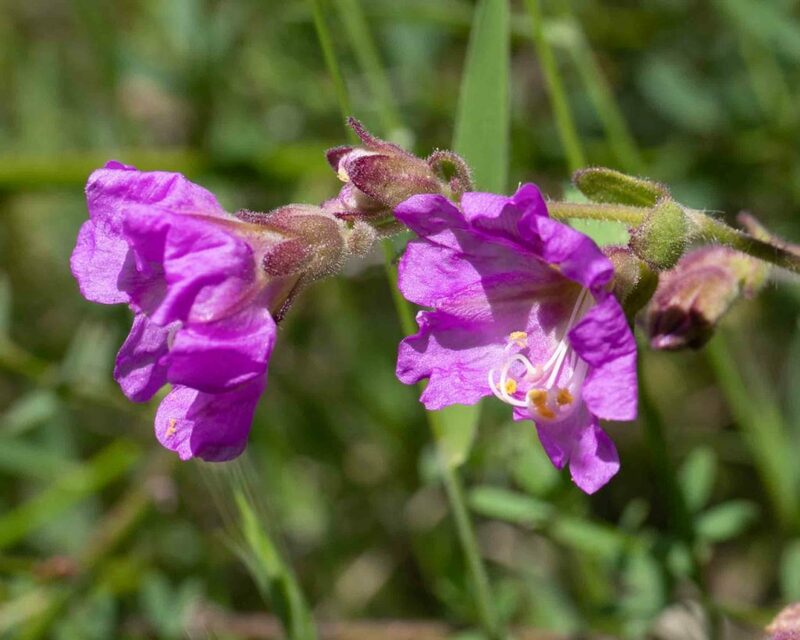 Commonly found in more southerly counties in California, this is found in Monterey only in the southern parts of Big Sur and the extreme east of the County south of the Pinnacles.